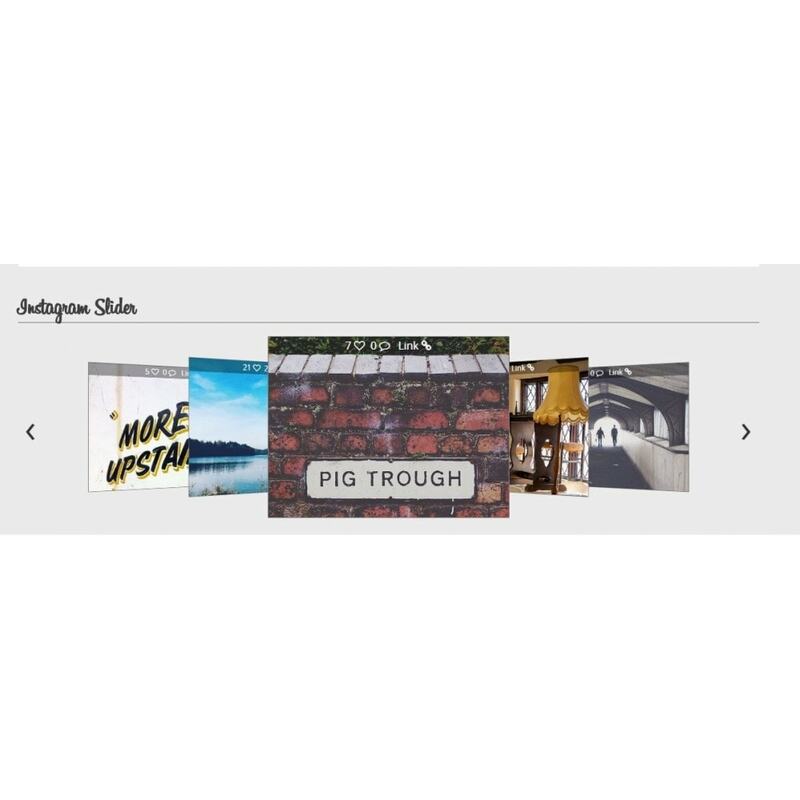 This module will display your Instagram feed on your home page. Social Slider Module for instagram is a responsive slider that shows latest images from instagram. - Automatically displays all recent photos from your instagram. - Super easy to install and fully responsive. - Images from instagram are imported. - Display Images in 3d Slider. 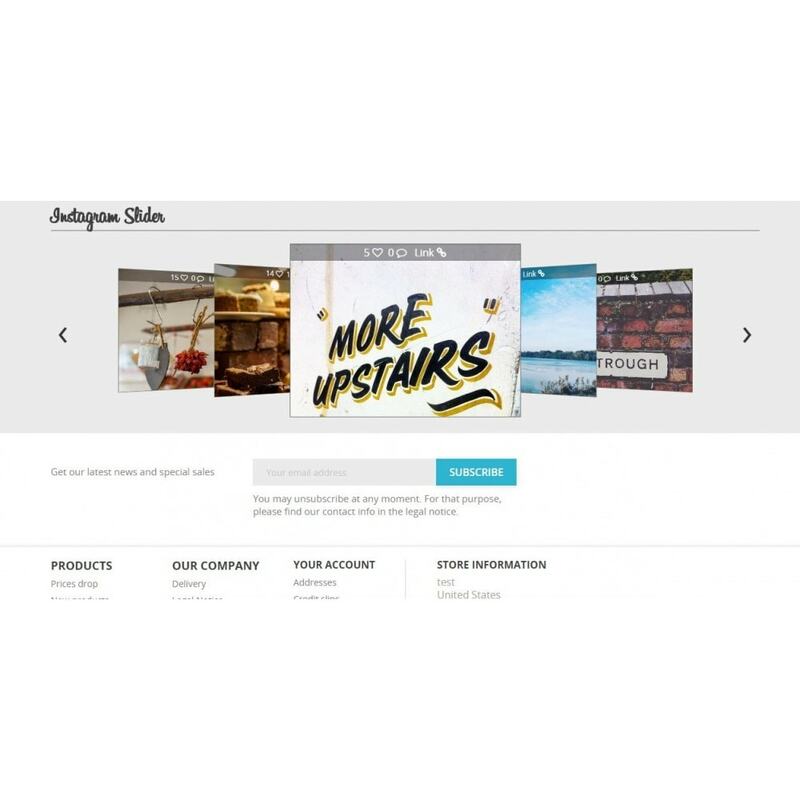 - New instagram API compatible. 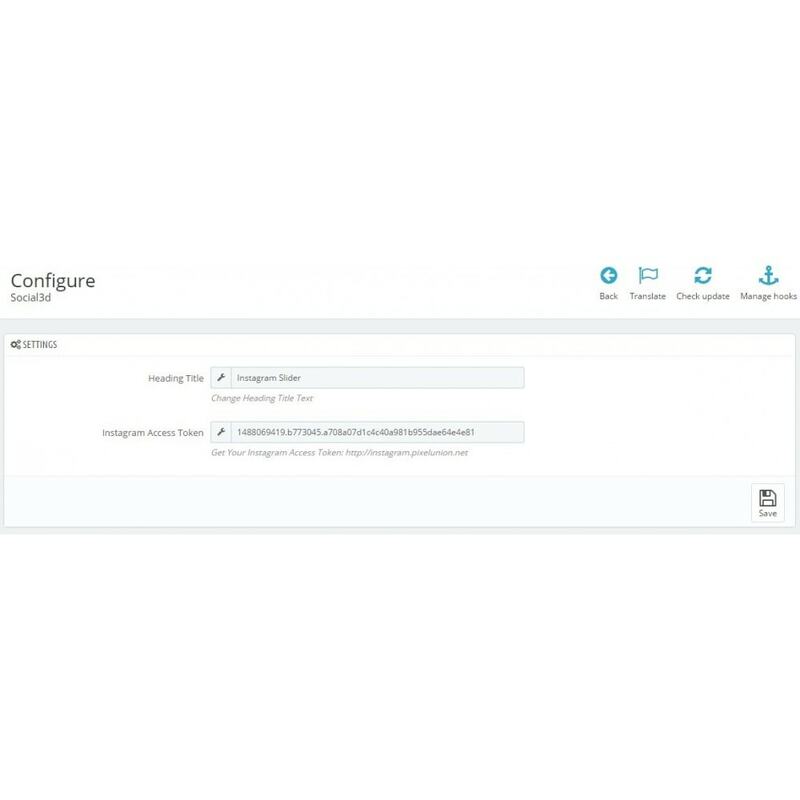 Your customer will be able to access your gallery updates in real time.